Starting your own business is exciting, but it is hard work and takes dedication. The Mitchell County Development Authority wants to support and help your business succeed in any way we can. We have put together information to assist you during this process. “STARTING AND GROWING A BUSINESS” in Mitchell County to get you STARTED! 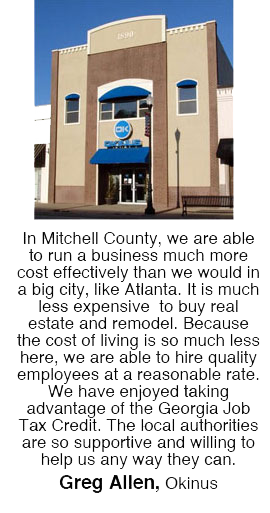 If you are interested in starting a business contact the Mitchell County Development Authority today.